The Center for Professional Development & Career Strategy connects employers and students through our interview programs, online employment postings, career-related panels and presentations, and other networking events. Beginning with our August OCI program and continuing throughout the fall, employers conduct on-campus interviews with second- and third-year students for summer and permanent positions. Beginning in the spring semester, on a date of the employer's choice, employers may request schedules to interview students from any class year. Please see below for instructions and links. Employers who choose not to conduct interviews at the law school, but who are interested in receiving resumes from Emory Law students can submit employment opportunities to the Career Center. We will communicate with our students, post the position on Symplicity, collect application materials, and forward those materials for your review. Please contact Carolyn Roan, Recruiting Manager, at 404.727.8773, if you have questions about our recruiting programs or if you have misplaced your Symplicity account log in information. 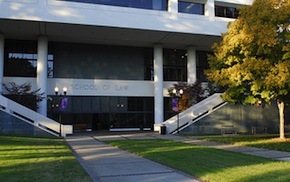 Emory Law's Fall Hiring Season takes place throughout the fall semester. Employers may interview 2Ls and 3Ls. To register for a Fall OCI date, complete the OCI Date Request Form and choose your preferred date. Emory Law's Spring Hiring Season takes place throughout the spring semester. Employers may request schedules to interview students from any class year during that program and on any date of their choosing. The Center for Professional Development & Career Strategy participates in and coordinates national job fairs, interview programs, and consortia. For more information, please contact Carolyn Roan, Recruiting Manager, at 404.727.8773. Returning Employers: Go to https://law-midwestcali-csm.symplicity.com/employers/index.php.Click OCI or Submit Schedule Request, select the Session from the drop down, complete the form, click Print Preview (print a copy), and click Submit. New Employers: Go to https://law-midwestcali-csm.symplicity.com/employers/index.php. Click Employer/Registration. Complete the form and you will receive a password and username within 24 hours. Then, proceed as above. Held jointly with the law schools at Arizona State University, Case Western Reserve University, William and Mary, University of Georgia, University of Illinois, University of Richmond, Wake Forest University, Washington and Lee University, and Washington University (St. Louis). Registration information is available online; the deadline to register is May 10, 2019. National employer base; sponsored by 52 Southeastern law schools. Registration information is available at www.semjf.org; deadline to register is May 10, 2019. If you would like to take advantage of OCI benefits (pre-screened candidates, arranged schedules) in the convenience of your own office, we offer year-round videoconferencing and Skype as alternatives. Complete the OCI Date Request Form and choose "Videoconferencing/Skype." Emory Law is proud to be a part of the Georgia Law School Consortium alongside the four other Georgia law schools: University of Georgia, Georgia State University, Mercer Law School, and Atlanta's John Marshall Law School. Each spring the consortium hosts the Public Sector Career Fair (at Georgia State University) and the Judicial Clerk Interview Program (at the University of Georgia). To advertise your summer associate, part-time academic year or post-graduate position with us, please complete this Job Posting Request form. Alternately, you may post the position on Symplicity by following the directions below. By posting a listing with our office, you agree that you will strictly adhere to our Non-Discrimination Policy. Once your job posting is approved, your position will be visible to Emory Law students and/or alumni. If you have any questions, contact Carolyn Roan, Manager of Recruiting, at 404.727.8773. Emory University is dedicated to providing equal opportunities to all individuals regardless of race, color, religion, ethnic or national origin, gender, genetic information, age, disability, sexual orientation, gender identity, gender expression, veteran’s status, or any factor that is a prohibited consideration under applicable law. The services of the Center for Professional Development & Career Strategy are available only to those employers whose practices are consistent with this policy. The following information may be of interest to employers as you evaluate our students' resumes. Emory Law's policy is to rank only the top 1/3 of each class. Our GPAs are calculated on a 4.30 scale. If you'd like to receive a copy of the most current grade percentiles and cut-offs, please email Carolyn Roan. It is Emory Law's policy not to release contact information about our students to employers, including addresses, telephone numbers, or e-mail addresses.